We shall be safe, dilly dilly, out of harm’s way. Is lavender really blue? Well, lavender ice cream is definitely not blue, but creamy white! 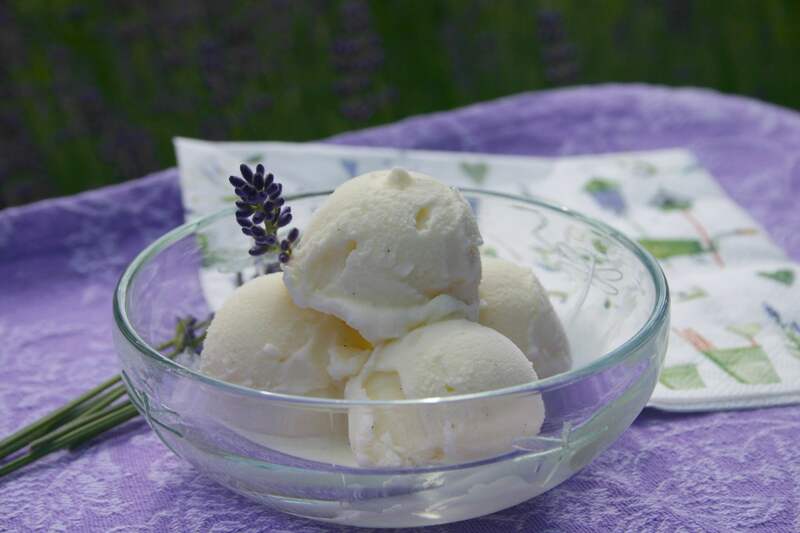 This is my favourite homemade ice cream, and I usually only make it early in the year when the lavender flowers are just opening… their flavour is best then – not too strong and very delicate. The quantities here are small, since I make it in my ice cream machine. Feel free to double them! Warm 200 ml milk in a pan and add 6 fresh lavender heads. Steep on a low heat for about 15 minutes. Mix the beans of half a vanilla pod into 100g sugar, with a pinch of salt. Add this to the warm milk and stir to dissolve. Now strain and chill. Later add 250 ml cream and churn in your machine or simply freeze as it is. It stays nice and creamy and is easy to scoop. Best eaten alone to savour the surprisingly refreshing flavour, but it goes well with strawberries or blueberries too! This entry was posted in Food, Garden, Herbs & Spices, Recipes, Words and tagged Food, Garden, Herbs, Plants, Poems, Postaday, Recipes, Spices, Summer, Vegetarian. Bookmark the permalink. It was my first time making ice cream last Sunday at BG College. It was divine, as I’m sure this is also. I can almost tast it, just from the pictures. I love the first one of just the flowers … gorgeous! Done! Not as hard as I thought! Thanks Jymiely! It’s under the “More” button. MMMM! Sounds yummy! Thank you for sharing the recipe. You’re welcome Russ. Nice of you to stop by! I love this romantic blue of lavender – such a beautiful photo! Your “Lavender Ice Cream” surely tastes delicious, the pictures make my mouth water. Thanks for this very nice post, Cathy! Sounds wonderful! This is by far my favorite plant, never thought of flavoring ice cream with it! Oh, you must try it! It’s not everyone’s cup of tea, but if you don’t try it you will never know! Beautifully presented. I may have to try recipe this before the day is over. I keep coming back to look at it! Let me know what you think if you make it. It really is something special! It was so delicious–hard to describe how good it tasted. Enjoyed using my lavender too, which I never use otherwise. Thanks! For me this song brings back memories of a very old book of piano tunes we had when I was little. I think I probably played it too! An interesting recipe for ice cream! maybe I’ll try to do it. I hope you enjoy it, and thank you for stopping by Nadezda! You’re the first person I’ve met (albeit “virtually”!) 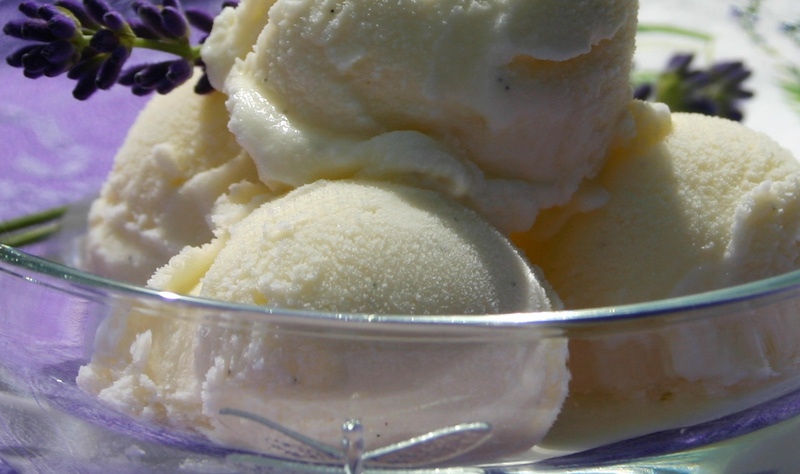 who has had lavender ice cream… except for my dinner guests of course! 😀 I tried lavender muffins once, at a lavender farm in England, and didn’t like them at all! I´ve never thought about eating lavender. However, I like it´s scent very much, so I´m sure the ice cream must be delicious! It’s a very refreshing taste. Try it! Tomorrow I harvest my first bunch of lavender for this year. Last year all I did was braid it. Most recipes I have seen call for dried lavender flowers- this is the first one with fresh lavender. Fresh lavender has a much more delicate flavour than dried, which to me tastes almost synthetic. I love to cut lavender to dry it too, not to cook with, but as a freshener for my wardrobe and drawers. Mmmm! I really want to try this when I can get my hands on some fresh lavender! Sounds delicious; thanks for sharing! 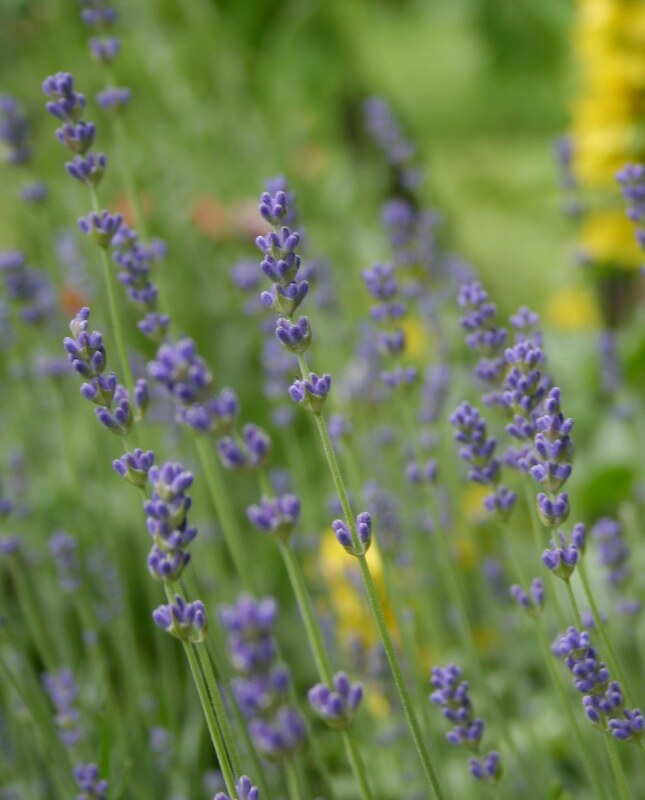 Have you ever used the culinary lavender in lemonade? I make it by adding it to pink lemonade. It’s an unusual taste and not everyone likes it, but I do! Hi Cindy. I’ve never used culinary lavender at all! I had it in a bought scone once and it tasted “artificial” and rather strong, which put me off using it myself. I think I prefer the delicate flavour of fresh, which is also easier to control; the longer you leave it in the liquid the more flavour you get. Apart from that, I doubt very much if I would find culinary lavender anywhere in Bavaria! LOL! Thanks for your comment Cindy. Cathy here is on to something…..